Q) What is Display Size of Honor 8 Lite is it protected by Gorilla Glass? A) The 5.2-inch Full HD display of the Honor 8 Lite is not protected by Corning’s Gorilla Glass. It features a 2.5D curved strengthened glass that is less prone to scratches, but it is not Gorilla Glass. Q) what is Processor and GPU on Honor 8 Lite? Q) RAM and ROM on Honor 8 Lite? A) 4GB RAM + 64GB storage. Q) How Much is Free RAM and storage on Honor 8 Lite? Q) Where is the fingerprint scanner on the Honor 8 Lite located? Is it touch based? A) The fingerprint scanner on the Honor 8 Lite is located at the rear, and yes, it is touch based. Q) How many fingerprints can one register on the Honor 8 Lite? Q) Does the Honor 8 Lite feature native fingerprint app locking functionality? Q) Camer on Honor 8 Lite? Q) Can you record slow-motion videos on the Honor 8 Lite? Q) Does Honor 8 Lite support MicroSD Card? A) Honor 8 Lite features a hybrid SIM/microSD card slot. Q) How much free storage space does the Honor 8 Lite has out of the box? A) Yes, you can uninstall or disable some of the pre-installed apps to free up space on the internal storage on the device. A) Android 7.0 Nougat with Huawei’s Emotion UI 5.0 on top of it. Q) Are the on-screen navigation keys on the Honor 8 Lite customizable? Q) Does the Honor 8 Lite support LTE and VoLTe networks? Will a Reliance Jio SIM work on the phone? Q) Does Honor 8 Lite comes with USB Type C? Q)Honor 8 Lite has 4G Support? Q) Is Honor 8 Lite water resistant? Q)Does Honor 8 Lite has NFC? Q) What contents do you get inside the retail box of the Honor 8 Lite? Q) How much is Battery on Honor 8 Lite? Q)Honor 8 Lite Battery Removable? A) No, build the battery, and the back cover is not removable. Q) Is Quick charging supported on the Honor 8 Lite? 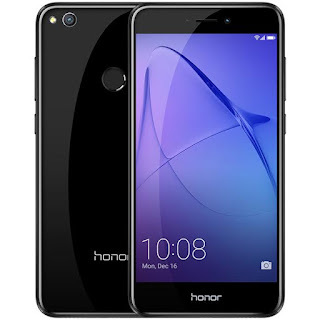 Q) What is the price of Honor 8 Lite in India? Q) What colors is the Honor 8 Lite available in? A) available in Premium Black and Blue colors. Q) Where to Buy Honor 8 Lite?